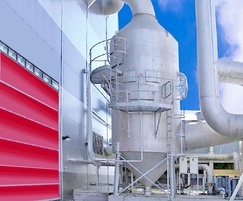 Dustech wet scrubbers use impingement and / or absorption to remove atmospheric contaminants. Systems are designed for specific applications to provide optimum contact between gas and scrubbing liquor. Contaminants are removed using gas absorption, chemical reaction and / or heat transfer. Dustech provides a complete turnkey service. The choice of design is influenced by variables such as efficiency, particle sizing, and allowable pressure drop. 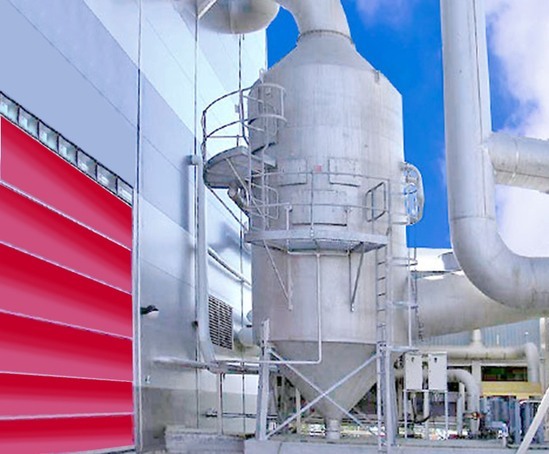 In high energy venturi scrubbers, contaminated gas enters the scrubber from the top and accelerates to high velocity through the throat, where it impinges on the liquid stream which is atomised to small droplets. Dustech also offers a variety of low pressure drop, spray tower washers – a simple and economical alternative for gas cleaning, cooling or absorption applications. Dustech Engineering has specialised in the design, development and installation of industrial air pollution control equipment since 1977.